Roku is close to agreeing a deal with Apple that would see AirPlay 2 supported on its streaming devices and some TVs, according to a report by MacRumors. The website cites “sources who are familiar with the matter” as saying that Roku is currently in talks with Apple and that negotiations are “nearly finalised”. If the deal happens, it would mean AirPlay 2 will be supported on Roku TVs sold by brands including Hisense, Hitachi, RCA, Sanyo, Sharp and TCL, as well as some Roku streaming boxes. But the report adds that not all Roku devices would receive AirPlay 2 support, with some older models likely to miss out. That sounds like a similar situation to what happened when Sonos announced it was supporting AirPlay 2 on some of its audio speakers. The service was supported on the Sonos Beam and Sonos One speakers, but not on older models. AirPlay 2 is an Apple protocol that allows users to wirelessly stream content such as video, music and photos from iOS devices to TVs and other hardware. Apple has worked hard in recent months to bring the service to a number of TV brands, with the likes of LG, Samsung, Sony and Vizio all announcing support for the protocol on its 2019 TV models. Apple’s AirPlay 2 push seems to be related to its desire to launch a TV streaming service that would rival Netflix and Amazon Prime. That service is likely to be announced soon, and with such broad support, AirPlay 2 would enable users to access it from a range of new devices without the need for a dedicated app. As such, it’s no surprise that Apple would also want to include Roku TVs under its umbrella. For Roku, support for AirPlay 2 would obviously benefit its users by giving them more options to access content. 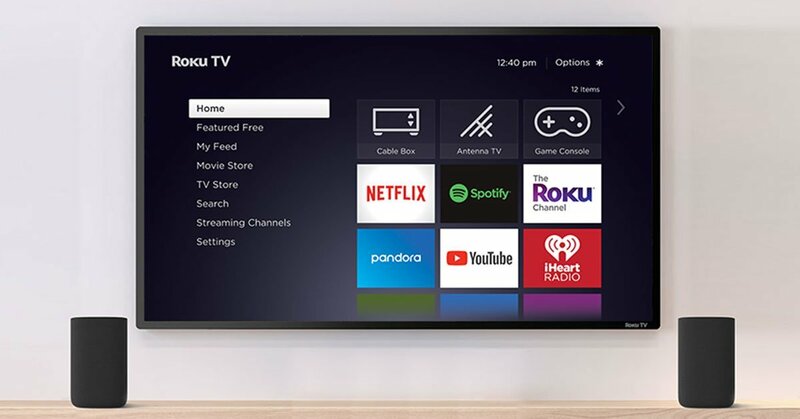 The news comes barely a week after Roku TVs added support for Amazon Alexa, which enables users to control their TVs with voice commands. Neither Apple nor Roku would confirm the story at this stage, with Roku telling FlatPanelsHD that “we don't have anything to share regarding this now”.